It's a strange name for a street but then Wallington likes naming its streets after itself. North Wallington starts at the junction by Wallington Bridge and the pub once called Fort Wallington Tavern and then it moves northwards, broadly following the line of the river, but starting with picturesque cottages on the island of land between it and the stream. After hundreds of years of being prone to flooding, in the 2000s work was finally done to provide some resistance for the cottages. The cottages here form the main part of the Wallington conservation area, and indeed the scene for which Wallington is best known, including some mock-period streetlighting which was added in 1997. One of the cottages was Farrows shop. Opposite the car park, cottages 10 to 13 were demolished in the 1950s to become two houses, one of which was Marvin. The row of houses numbered 32 were the last to be built, in place of woodland. 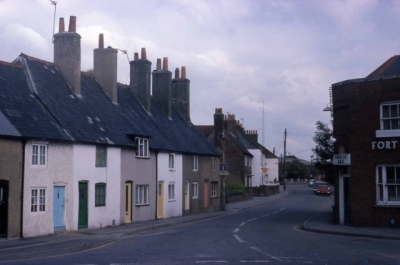 In the 1960s more houses were added on the east side, with the modern benefit of having front gardens - something the older cottages have to make do without. Next up on the east side was the Wallington Brewery. This was one of the main industries of Wallington's past, which went on to become a building yard. This lasted until 2007 when it was re-built as Clifton Mews. The brewery itself moved to the junction with what was called Wallington Drift Road, by where the White Horse pub now is. Its spirit lives on in a new estate called The Maltings. Also up Drift Road was the reservoir for the water works. This junction also hosts the footbridge through to the tannery, which would have been a large employer for people in the cottages nearby. Opposite number 49 would have been another footbridge to the other side. The next row of cottages, including North End Cottages, is thought to have once housed smugglers. After these was once an access road to allotment gardens at the top of the hill, which went on to become Riverside Avenue in the early 1960s. This includes another row of houses built on a privately owned spur of North Wallington, built to allow the houses to be built on the steep embankment, and perhaps a bit of 1960s thinking for fear North Wallington was going to become an unpleasant stream of lorries. An old chalk pit became Fareham Urban District Council's water works (now Portsmouth Water's), with Waterworks Cottage being built at the end of the road in the early 1900s. The footbridge at the bottom of the hill has been there for nearly 200 years, providing access to the fields of The Watermeadows, an industrial working field headed by Ipsley Cottage, which became Riverdale Cottages. The Wallington Watermeadows came with an agreement the land wouldn't be built upon, but this agreement was supposedly lost as the fields were sold between owners and most of the land was built upon in the 1980s, leaving only a shadow of the floodplain it used to be. Beyond here the road became Boarhunt Road, although it is likely the whole length was colloquially known as the Boarhunt Road. 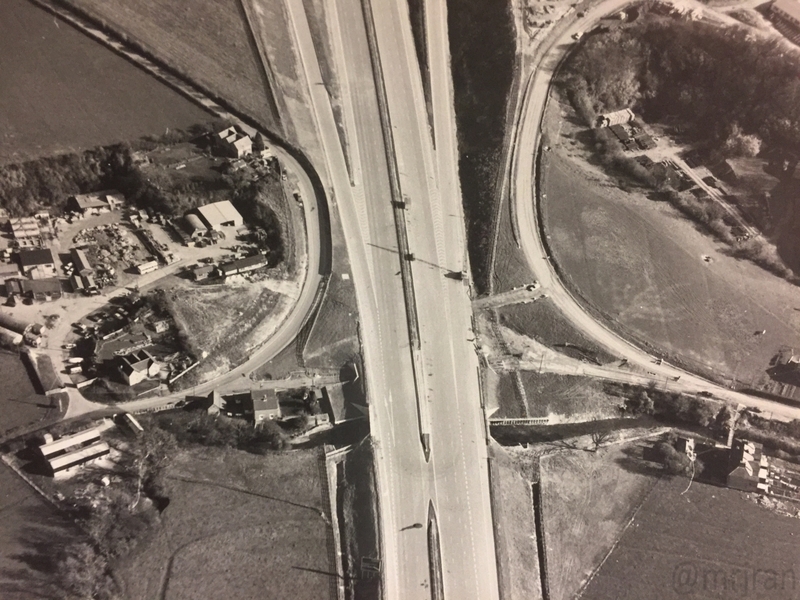 In the 1970s two houses were added at the top of the road to benefit from what was now a small field, having been severed by the arrival of the motorway. A few years later, the industrial park opened with a new bridge over the river, and the loop was diverted with part of it becoming isolated. Spurlings Road continues up to Spurlings Farm, past cottages, the chalk pit (now Spurlings Industrial Estate) and a building yard. At the junction with Nine Elms Road is an old house, labelled Spurlings, and once home to Charles Osborne - who is remembered by his own road.